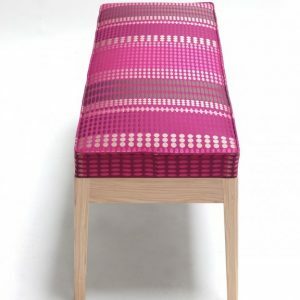 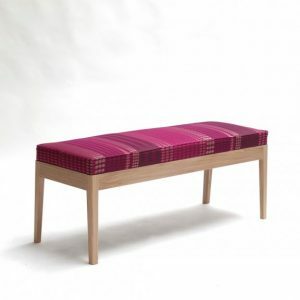 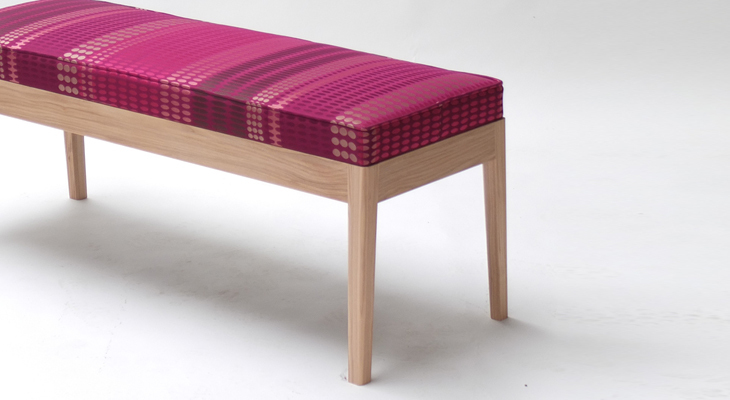 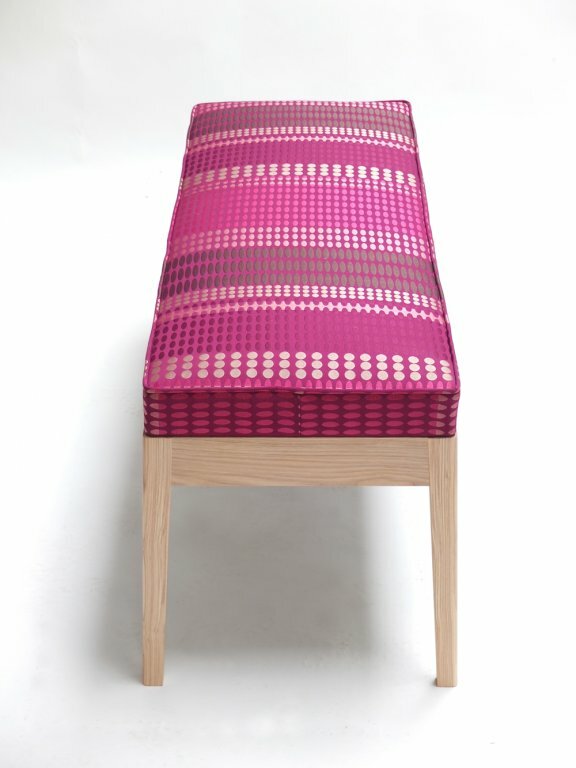 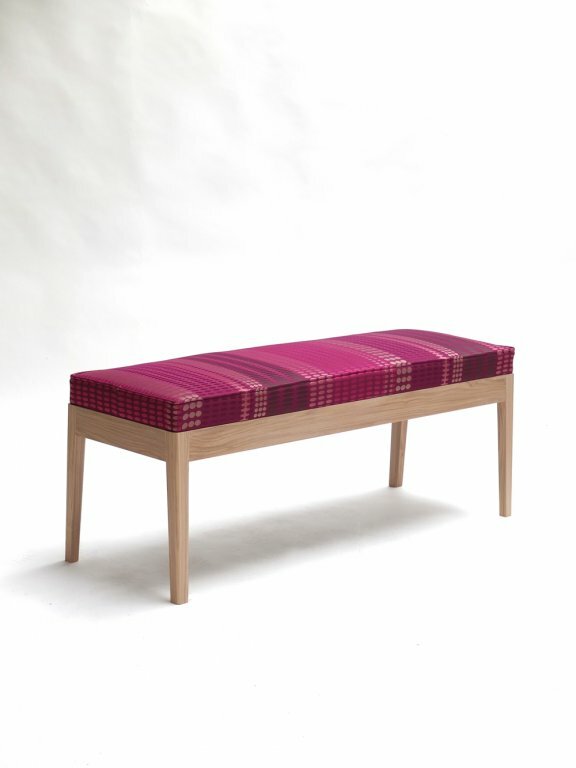 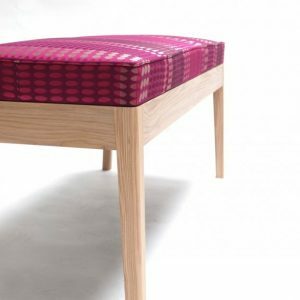 Description: An ash version of the Oscar bench with traditional upholstery and ‘Rozella’ fabric from Margo Selby. 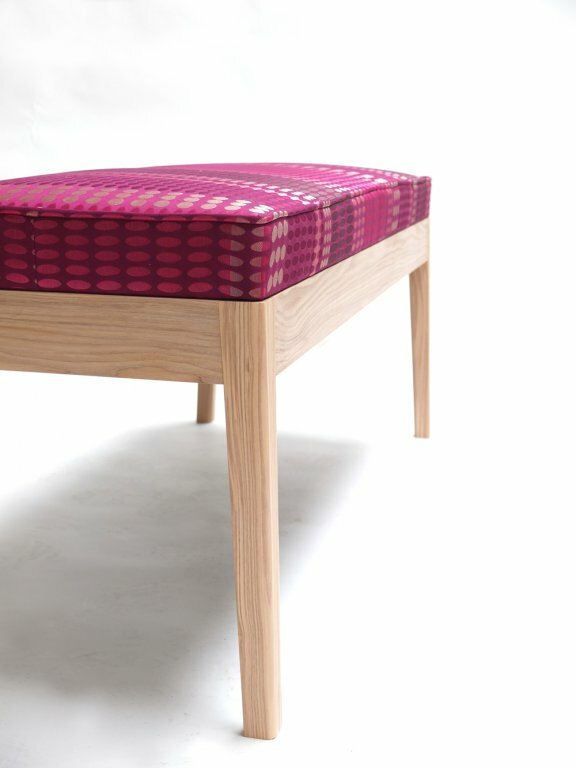 The tapered legs are subtly splayed giving the piece a solid stance whilst remaining light and airy in appearance. 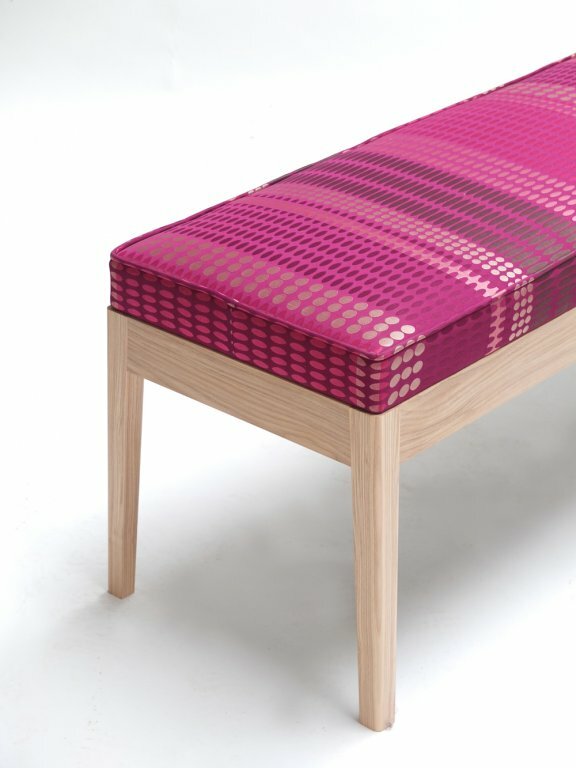 The side skirts have been textured with a traditional moulding plane.